We are not fans of milestones in this house. We love celebrating progress in general, of course. All parents rejoice in the successes and achievements of their children. 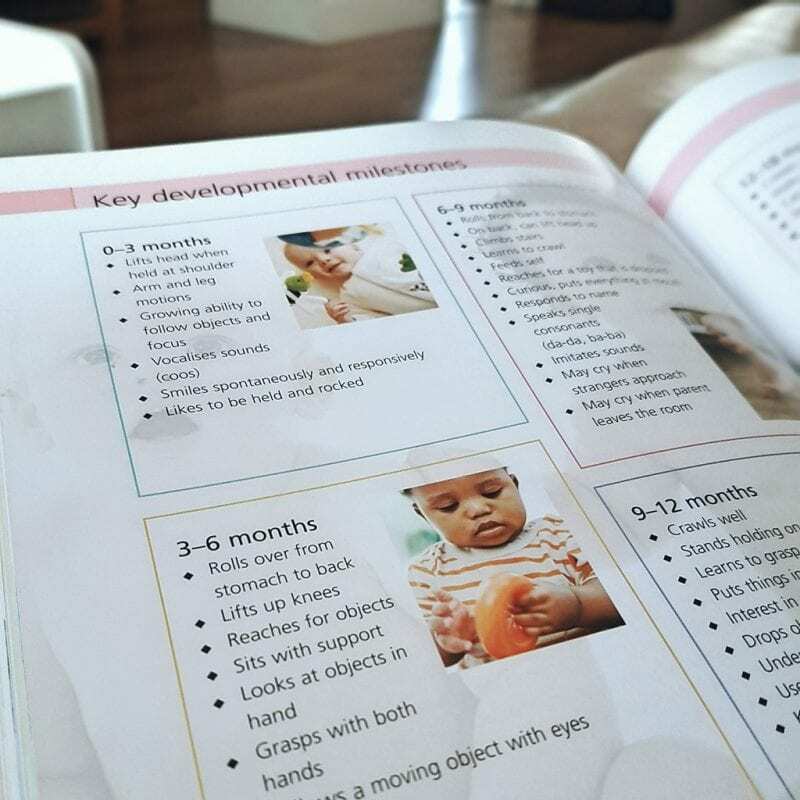 The ‘official’ milestones, however – the ones written in books, the ones that get sent to your inbox with ‘an update on your 22 month old’, the ones that force us to compare ourselves to others – they are less appealing. We are bombarded with information about what other people’s children our doing, what our children should be doing these days. 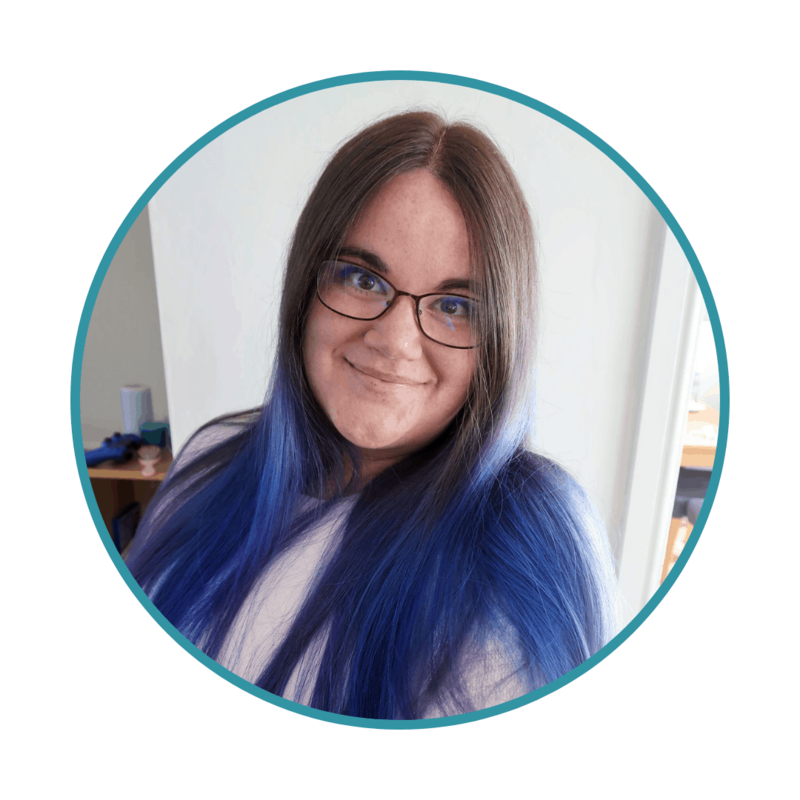 Although we have to keep track in some ways, it is not always helpful, especially with all the other anxieties that parenting brings. My son walked just before his second birthday. He cannot yet use cutlery or drink from a cup. Last week, he built a tower from Lego for the first time, a few months after his baby sister managed it. In a special needs household, every achievement is fought for, every success won with resilience and heartache. My daughter walked at 13 months, just as she should. As she hits each milestone, exactly as predicted, the texture of that success is always just a little bittersweet for me now. It is unlikely that I would ever buy traditional milestone cards for that reason. But, when Ace, the best kept secret in the laundry world, offered to send me some of their honest, alternative milestone cards, I was happy to give them a try. 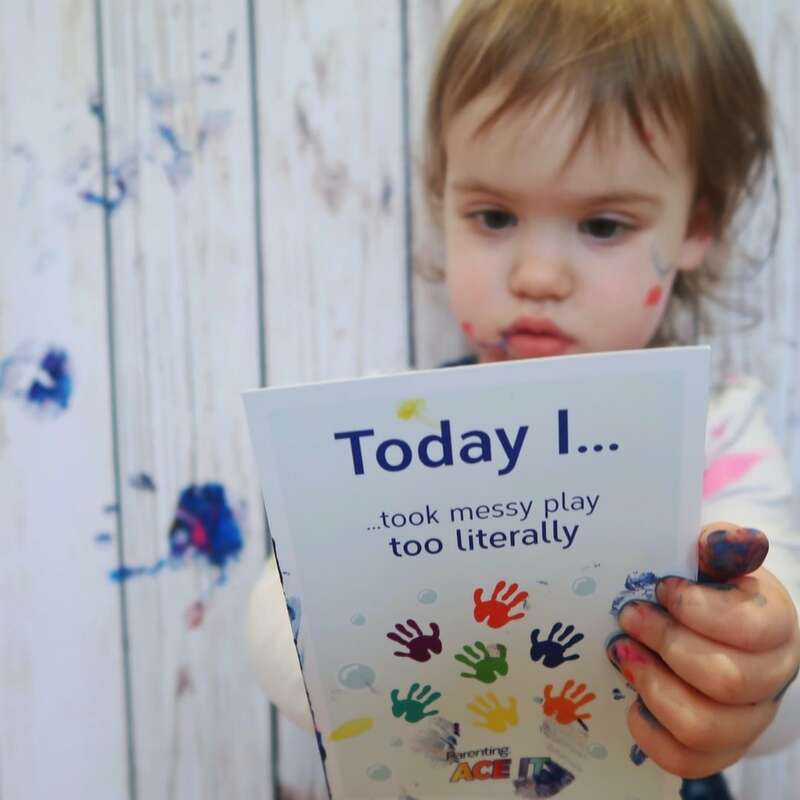 The milestones feature some fun substitutes for the more conventional cards that are available and, as you might expect, they focus on some of the messier aspects of parenting. used a full pack of baby wipes in one go. 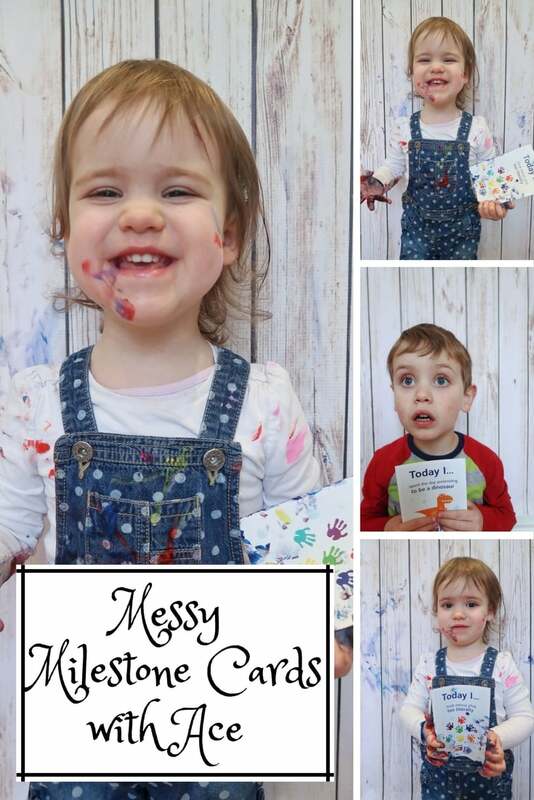 As you can see, it is not just babies and toddlers who could use alternative messy milestone cards either. In fact, recent research shows that parents feel teenagers are the messiest people in the household. 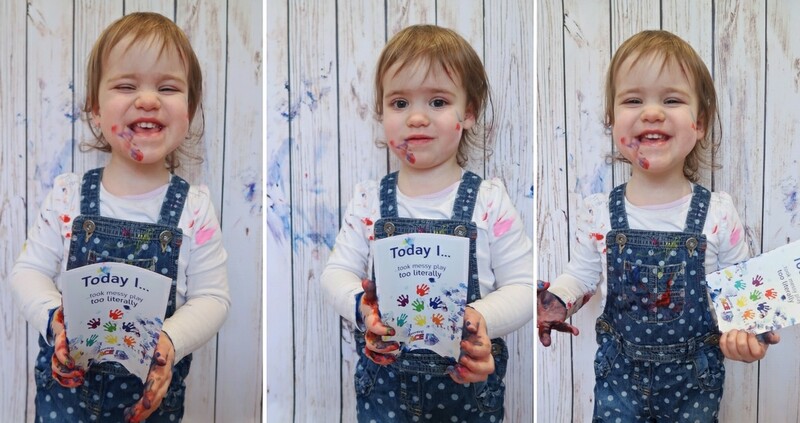 I don’t have teenagers yet but Littlest certainly managed to make a huge mess while we were taking photographs of the cards! Luckily, Ace sent us some great products that will get those stains off. There is no doubt that parenting is messy – both literally and figuratively. When I learned I was pregnant for the first time I dreamt of sharing my children’s milestones at just the right moments, of how proud I would be when they walked, when they rode a bike for the first time. As with all aspects of parenting, things didn’t quite turn out as I expected. But, even though our milestones may be a little different to some families, the pride and heartache (and mess!) are just the same. Which alternative milestones would you add? I would love to hear your ideas in the comments. Aw cute pics! 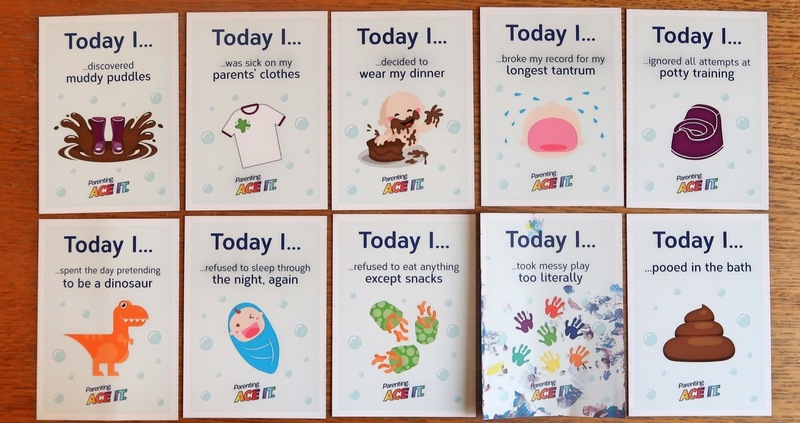 I love those milestone cards ‘today I refused to sleep through the night, again’ haha. Eating things off the floor-that would be mine too at the moment with a crawling 1yr/o. He picks up everything!